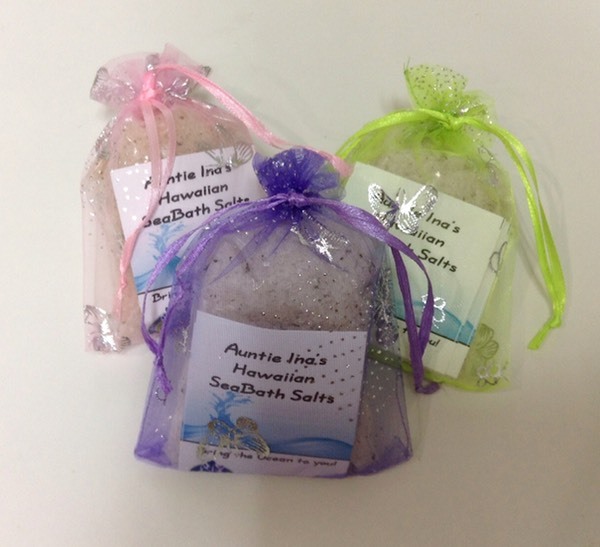 Auntie Ina's SeaBath Salts are made with Hawaiian Seasalts and Magnesium Chloride mineral salts. Many tiny particles of Wakame ocean algae are sprinkled throughout the salts to lend their special healing effects. 4 ozs. of SeaSalts in each festive Organza pouch.